BlackBerry are continuing the global roll out of their BlackBerry Q5 smartphone, the device will launch in India next week for Rs 25,000. 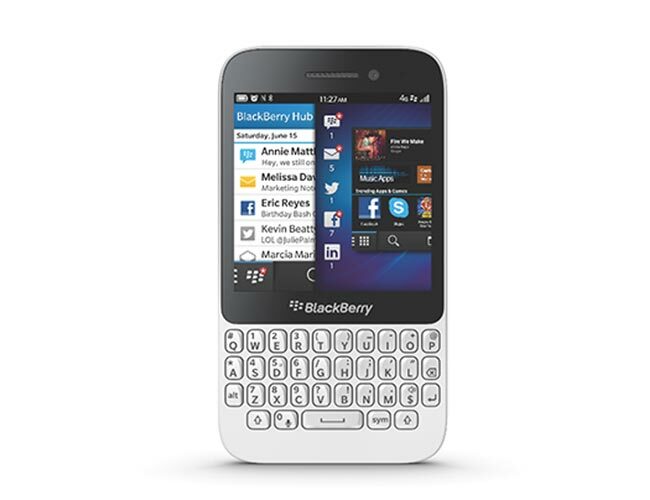 The BlackBerry Q5 comes with a 3.1 inch touchscreen display with a resolution of 720 x 720 pixels, plus a full QWERTY keyboard, it also features front and rear facing cameras. The BlackBerry Q5 comes with front and rear facing cameras, up front there is a 2 megapixel camera for video chat, on the back there is a 5 megapixel camera with an LED flash, the handset also comes with 2GB of RAM and 8GB of built in storage, plus a 2,180 mAh battery.